My refusal to watch The Muppets film has been a bit of a point of contention with my boyfriend. I feel it’s an informed choice based on the fact that I find nothing either endearing or amusing about that ridiculous pig and frog. My boyfriend thinks that I’m being a little close-minded and am denying myself some heart-warming hilarity. In some respects (and in terms of big life choices) I think I’m a relatively adventurous soul, but I think maybe he has a point here. Not about The Muppets – they’re obviously rubbish. But in general I think I do tend to stick to what I know and love perhaps a little too much and assume that there are some things I would just hate. It probably wouldn’t hurt to be a smidgen more open-minded about the little things and broaden my horizons somewhat. It’s like the age-old restaurant dilemma – stick with my tried and tested favourite dish in my regular haunts, or branch out and risk something new. This is particularly problematic at Indian restaurants. 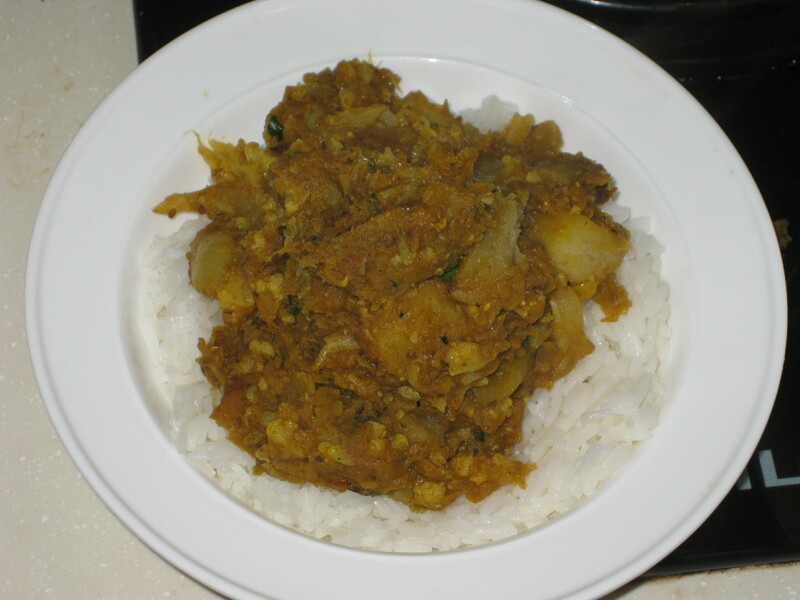 There are so many appetising dishes…but could anything really be better than aloo gobi? 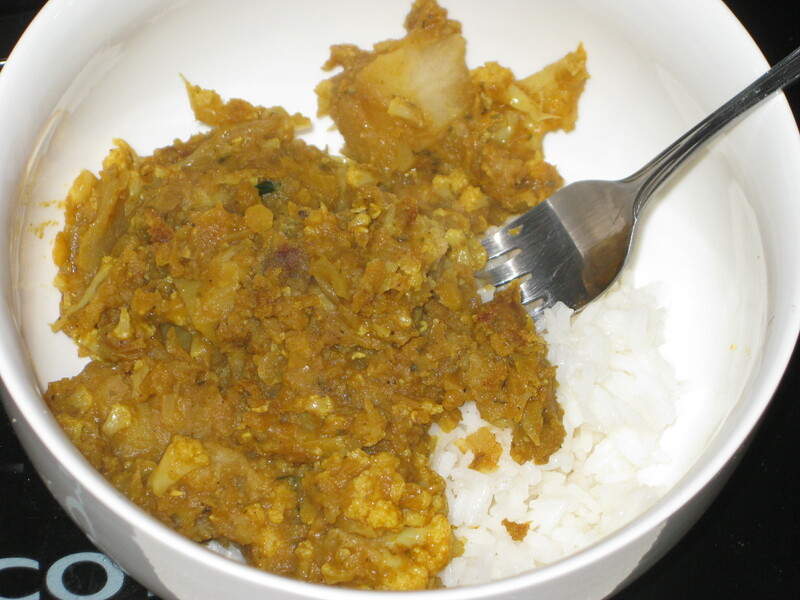 Potatoes and cauliflower just belong together in curry form. Happily, this is one thing my boyfriend and I agree on, so we can both be resolutely unadventurous in tucking in to this quick and easy homemade variation! 1. 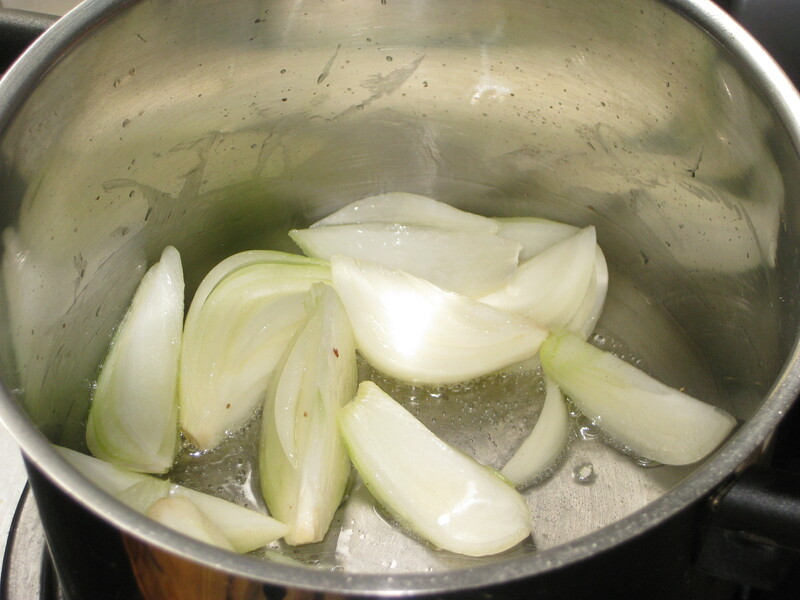 Heat the oil in a large pan and fry the onions for about 6 minutes over a high heat. 2. 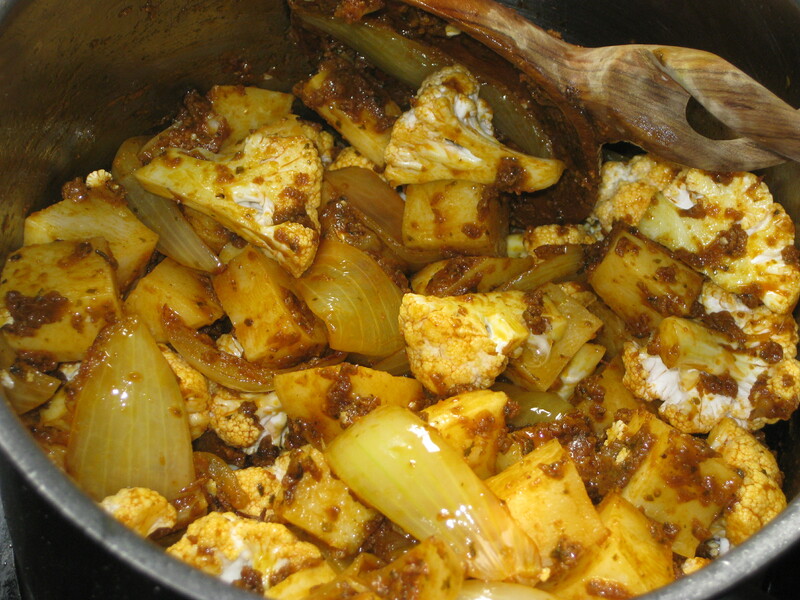 Stir in the curry paste and cook for another minute. 3. 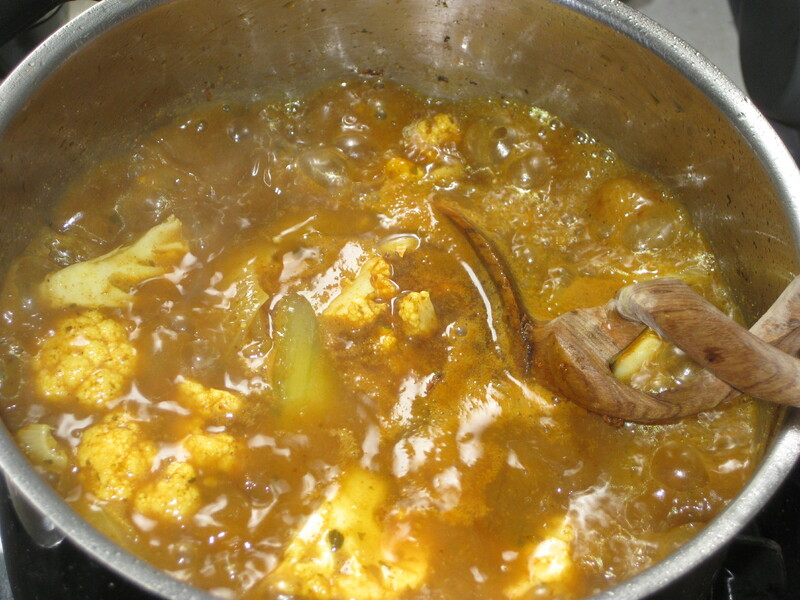 Add the potato and cauliflower, stir to coat well with curry paste. 4. 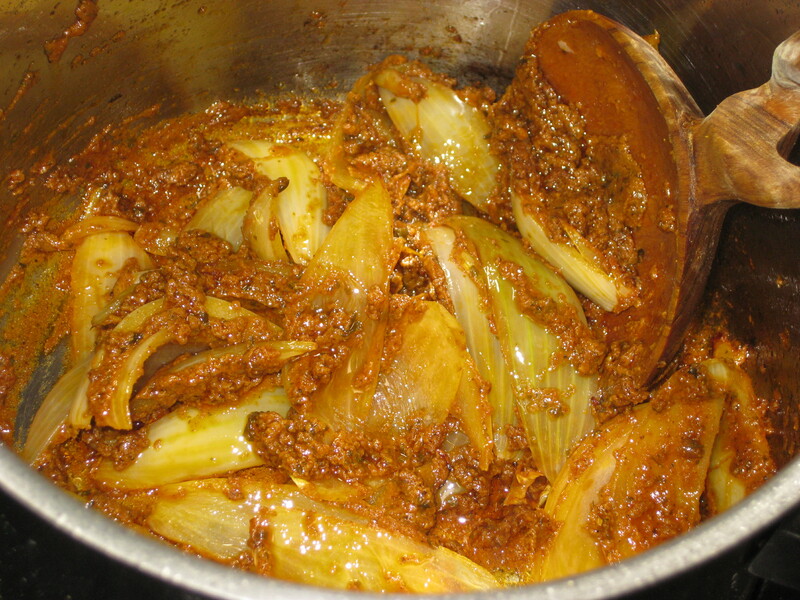 Pour in the stock, cover and simmer for 5 minutes. 5. Tip in the lentils and simmer for 15 minutes more. 6. 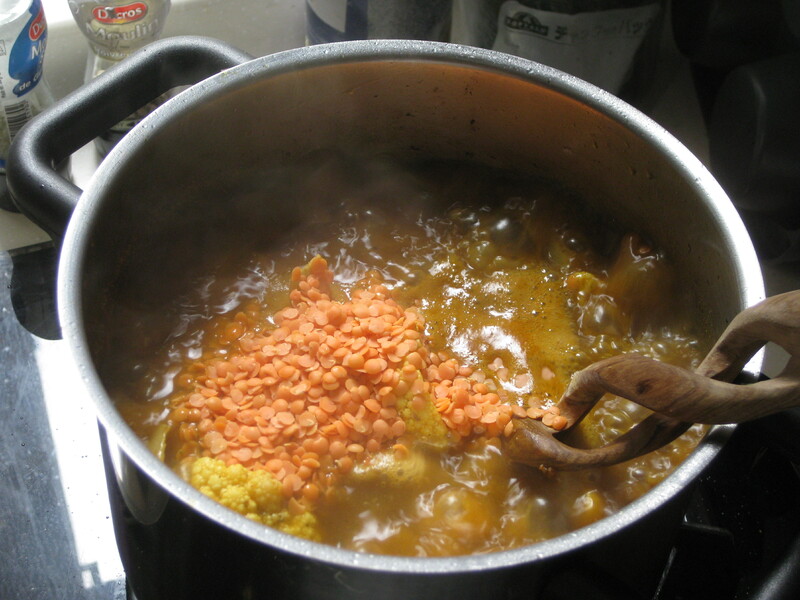 When the lentils are cooked and the vegetables are tender, season and stir through the parsley. Serve with rice. 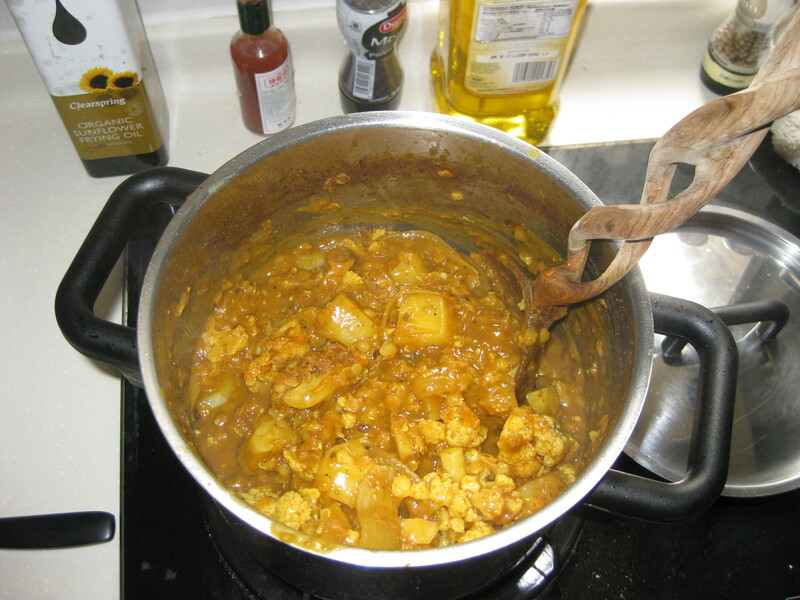 This entry was posted in Vegan Recipes and tagged lentil curry, potato cauliflower curry, vegetarian curry. Bookmark the permalink.